One of my favorite things about traveling to a new region is finding and sampling the local specialties. I went to Nagoya over the three-day weekend (for 敬老の日) and got to try several of the area’s famous foods. Katsu refers to tonkatsu, a pork cutlet fried in breadcrumbs. Normal tonkatsu is served with tonkatsu sauce (とんかつソース), a thick brown sauce similar to okonomi sauce（お好みソース）; both of which are a bit like barbeque sauce in savory spirit, if not in flavor. 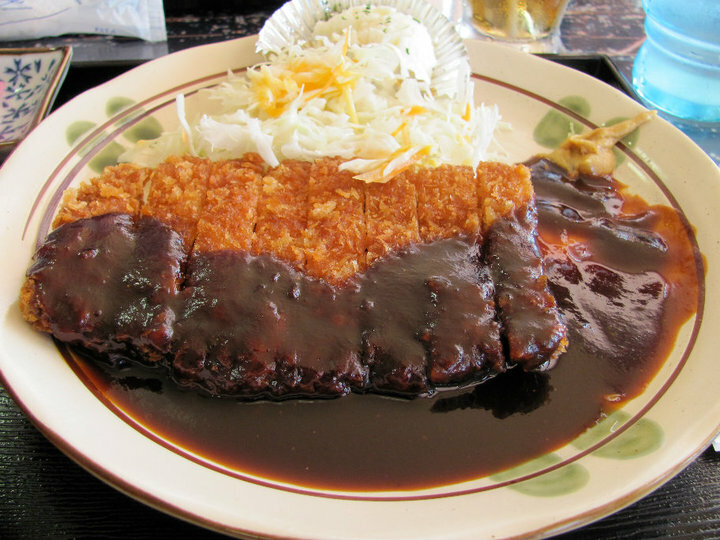 Nagoya’s miso katsu （味噌カツ）, is, as the name suggests, tonkatsu served with a miso-based sauce. Although tonkatsu is usually too heavy for my palate, the miso sauce was a delicious spin on the dish. Furthermore, the sauce is made from a miso famous in Aichi prefecture, 八丁味噌 (hacchou miso). This is a type of “red miso” (赤味噌), which has a stronger flavor and “dry” taste than “white miso”　（白味噌）, which is lighter and sweeter. I’m not sure which restaurant serves the best miso katsu in Nagoya, but the miso katsu I was served at the restaurant at the summit of Kinkazan (金華山, or “Mt. Kinka”), next to Gifu Castle in Gifu City, was delicious. The set came with a small bowl of rice and a small cabbage “salad” for 1050 yen. The hike up to the summit is really lovely, and the Gifu Castle Museum had lots of interesting weapons and armor from Oda Nobunaga and his family’s control of the area in the mid-16th century. We took an easy route up and headed down another fairly easy route—about 1 hour each way. Squirrel Village was entertaining, but you’re basically paying 200 yen to wear a leather glove and feed 1-2 squirrels, so it’s not a must-see place. 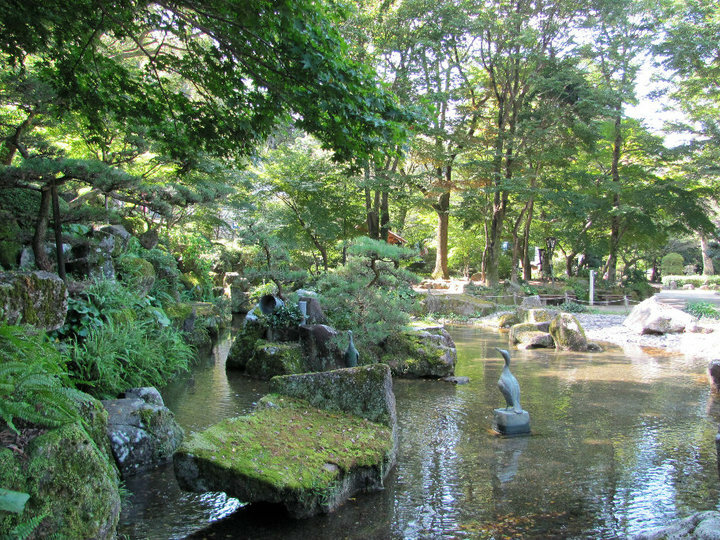 At the base of Kinkazan is Gifu Park　（岐阜公園）, Great Buddha of Gifu (岐阜の大仏)　(worth seeing), and several museums. 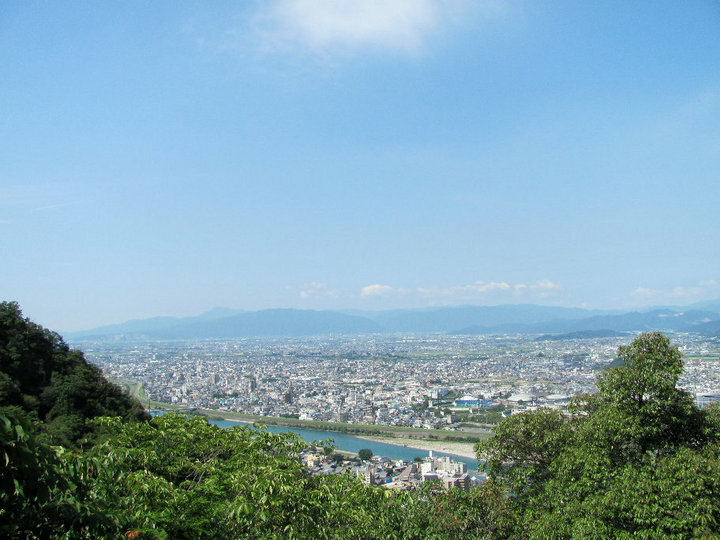 Hike up to Gifu Castle (岐阜城) from Gifu Park （岐阜公園） (1-2 hours, depending on the trail; free) or take the ropeway (1050 yen roundtrip) to Gifu Castle and follow the signs for the restaurant. The restaurant uses a ticket vending machine and also sells cold salads, maabo-don, eel, and a variety of other Japanese dishes.